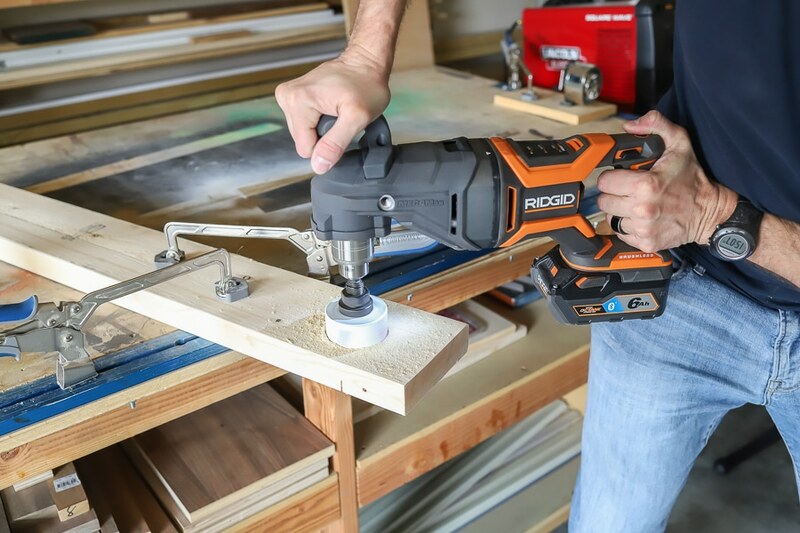 Introducing the new Ridgid MEGAMax, the industry’s most powerful interchangeable tool system. 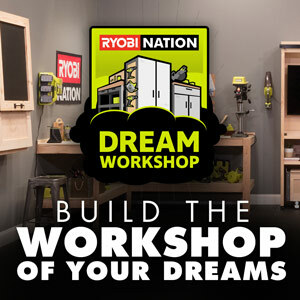 Who doesn’t love a transforming tool? 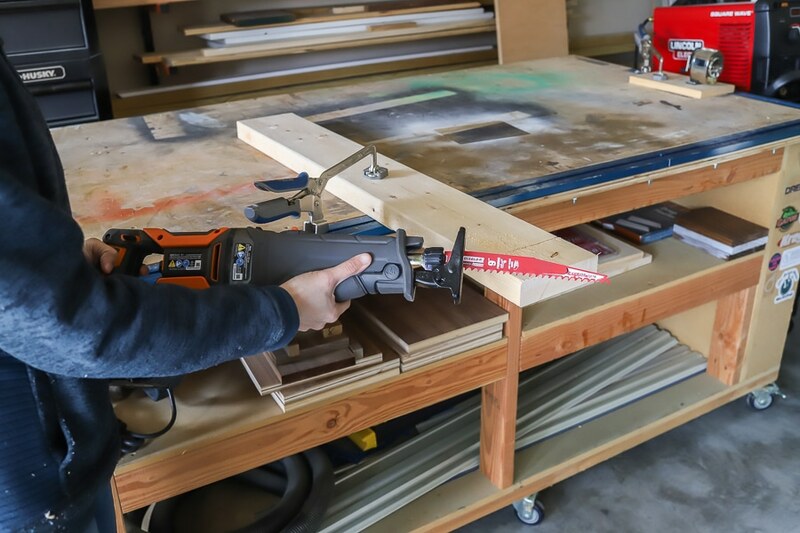 The MEGAMax is powerful and versatile – I have the reciprocating saw and right angle drill attachment heads, but it also comes with a rotary hammer option. 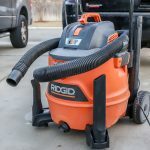 The Ridgid MEGAMax Power Base is sold separately from the various attachment heads, so you’re able to purchase each attachment head as you need it. 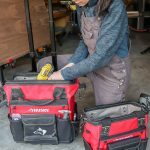 And it’s an OCTANE tool, which means when it’s paired with the Ridgid 18-Volt Octane Bluetooth 6.0Ah High Capacity Battery, you get maximum performance in high-demand applications. The power base is an intelligent tool, it automatically identifies which head is attached and configures its system to match. 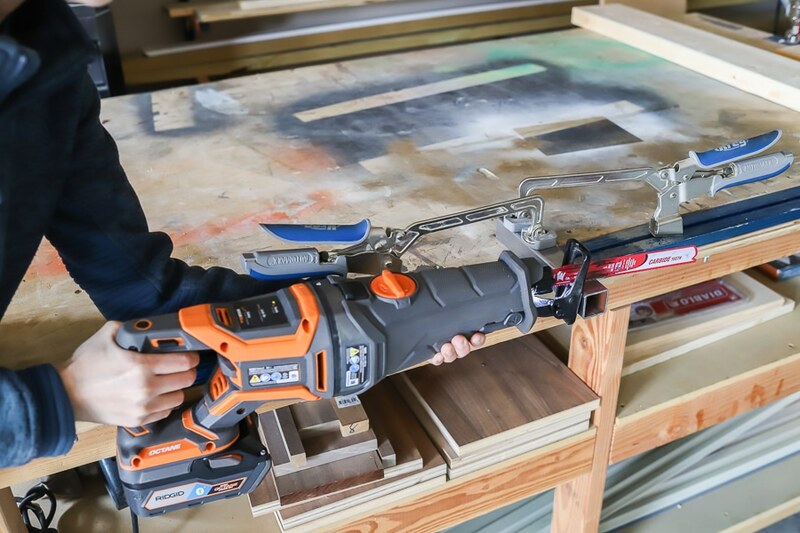 The reciprocating saw is the industry’s most powerful reciprocating saw when connected to the Power Base and Octane battery. It features on/off orbital action and connects in 4 directional head positions. 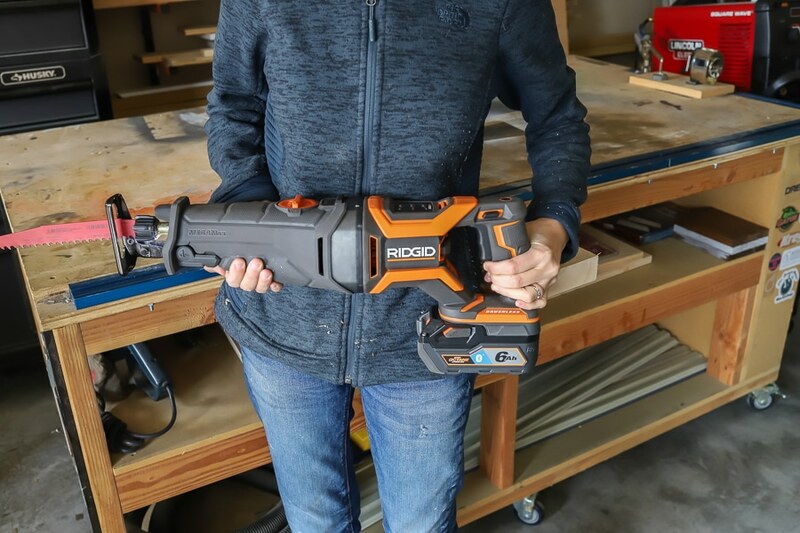 I would have loved to have this tool when we were building the floating deck and pergola – it would’ve eaten those 6×6 pressure-treated posts for breakfast. 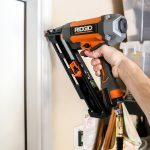 The Ridgid 18-Volt Octane MegaMax 1/2-inch Right Angle Drill Attachment Head is built with heavy duty metal gears and 1/2 chuck for job site durability. It’s high torque output powers through any application. We purposely tried to stall the tool and put about 350 pounds of downward pressure on it while the bit was spinning and it didn’t slow down one bit. 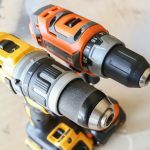 The right angle drill attachment also rotates in 4 different positions. 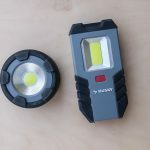 I did find it a bit on the heavy side, but I can actually use the weight and gravity to my advantage; it’s a tough tool, built for heavy-duty jobs. 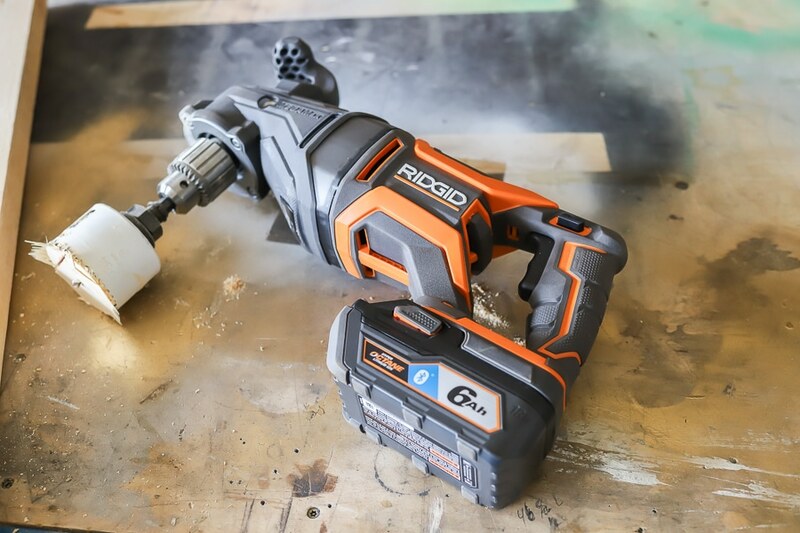 The Ridgid 18-Volt Octane Bluetooth 6.0Ah High Capacity Battery has 4x more runtime than the standard lithium-ion battery. And it’s equipped with Bluetooth capability with push notifications to your smart phone or tablet. It will notify you of battery status and security issues – you can disable the battery when out of range. 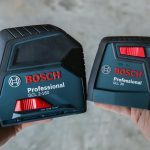 Now let’s talk blades – I’ve spent my fair share of American dollar bills on mediocre blades and always found myself replacing or breaking them all too often. 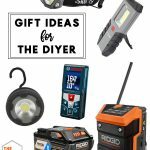 A good blade can often elevate a mediocre tool and Diablo makes some of the best ones on the market – they’re worth every red cent. 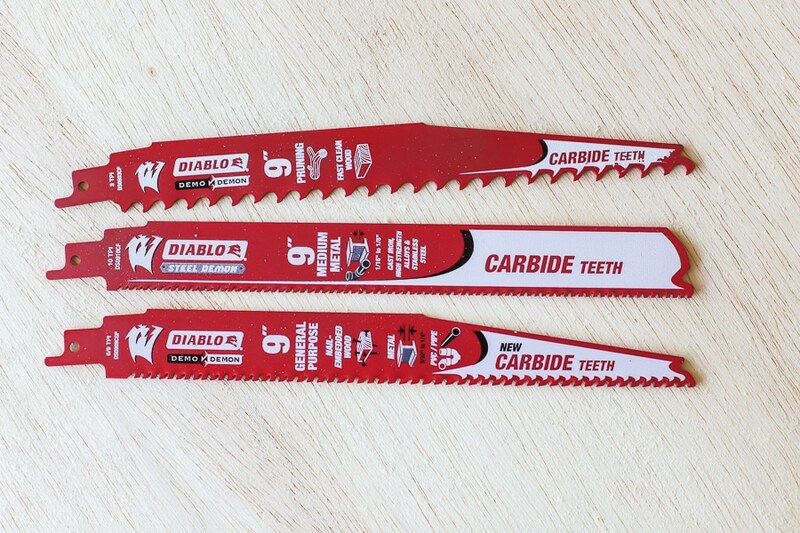 The carbide tooth design on the Diablo Demo Demon Carbide General Purpose Reciprocating Saw Blade is ideal for cutting nail-embedded wood, ferrous metal, and PVC/pipe materials and lasts up to 50x longer than the standard blade. 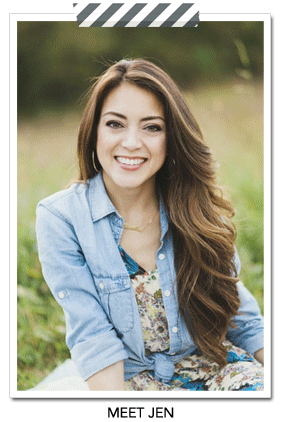 The variable tooth technology provides faster cuts with less vibration. The Diablo Carbide Pruning and Clean Wood Cutting Reciprocating Saw Blade is ideal for cutting and pruning applications. The aggressive carbide tooth geometry delivers fast and effortless cuts. Notice the large blade gullets between the teeth – these provide fast chip removal and the ultimate cutting performance in clean wood and pruning jobs. 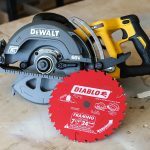 The Diablo Steel Demon Carbide Medium Metal Cutting Reciprocating Saw Blade is a high-performance carbide blade with greater durability and 50x better cutting performance in medium metal applications. The 10 TPI tooth design provides clean, smooth finishes and is idea for cutting ferrous metals and high strength alloys between 3/32- to 1/4 inches. 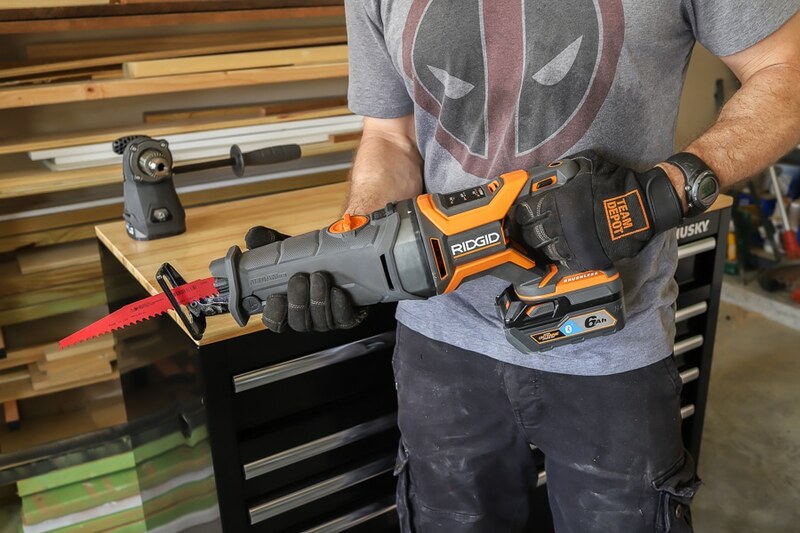 If you’re in the market for the Optimus Prime of cordless power tools, give the Ridgid MEGAMax, a look. 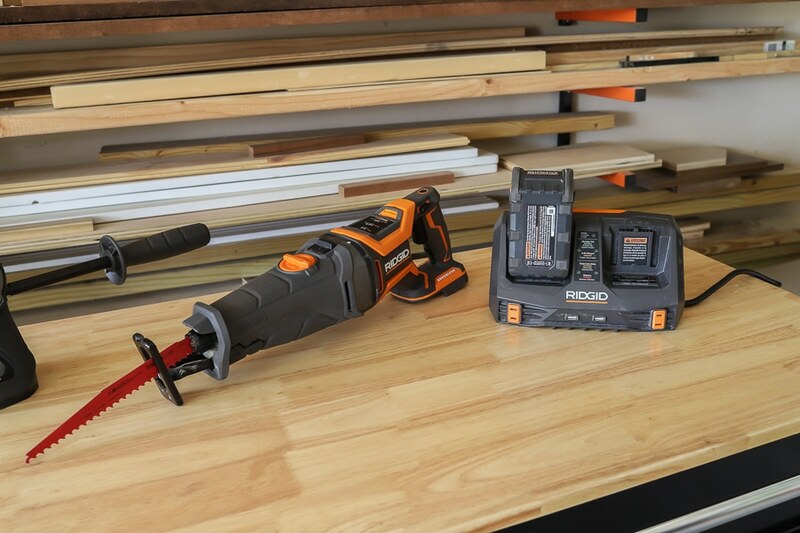 Pair it with the 6.0Ah Octane battery and Diablo reciprocating saw blades and you’ve got an unbeatable combo.